A mindless action thriller, Assassins features a decent cast but takes itself too seriously and outstays its welcome. Robert Rath (Sylvester Stallone) is a professional assassin growing old and looking to quit the business, still haunted by having killed his mentor Nicolai Tashlinkov 15 years prior. Rath receives his missions from an anonymous online source, and cannot resist a contract to kill an ailing financier of right wing dictators. But another assassin intervenes and claims the kill, effectively stealing the contract. Rath tracks down the new assassin and identifies him as Miguel Bain (Antonio Banderas), a brash young man exhibiting psychotic behaviour. Bain wants to be the world's premier assassin, which means eliminating Rath. Rath's next mission is to assassinate mysterious electronics thief Electra (Julianne Moore), along with four would-be buyers of information she possesses on disc. Rath again finds himself in competition with Bain to complete the mission. When Rath gets the opportunity to kill Electra he instead decides to team up with her to plan a final mission that could get him out of the business once and for all -- if they can both survive the rampaging Bain. Directed by Richard Donner and written by the Wachowskis (who later tried to disown the script), Assassins' theme of the veteran and the wannabe carries echoes of Charles Bronson's The Mechanic. 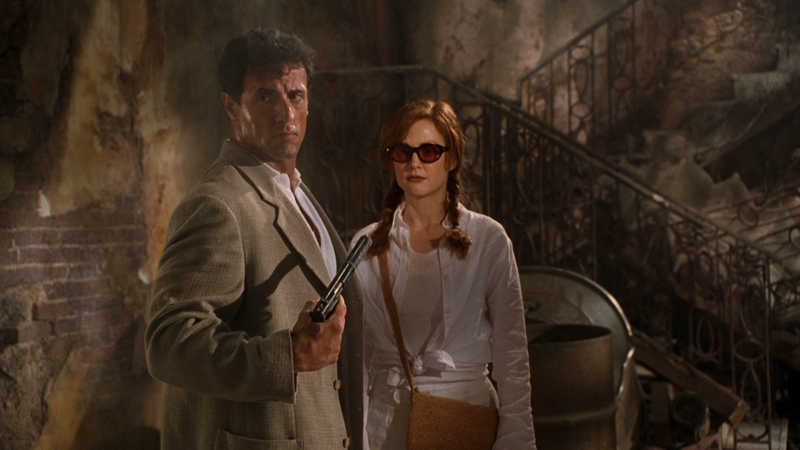 While Stallone, Banderas and Moore provide plenty of on-screen talent, the film slowly but surely surrenders to over-the-top action scenes that defy all logic, an unfortunate trademark of producer Joel Silver. Banderas' Miguel Bain takes the brunt of the ridiculous carnage, as he survives a spectacular car crash, gets scrubbed against a large truck at highway speed for a prolonged period, is blown out of an apartment in a massive explosion, and is finally dropped several stories as half a building collapses around him. Of course he dusts himself off and comes back for more punishment after every incident. Assassins also gets bogged down in a final chapter that takes forever, as the running time extends to a wholly unnecessary 132 minutes. Rath, Bain and Electra find themselves in Puerto Rico, where Rath knows that Bain will try to kill him. A full 35 minutes of not much happening ensues, until an interminable climax in which not one but two characters come back from the dead. All of the ineptitude wastes a half-decent performance by Stallone, who plays within himself and is able to generate some depth to the character of a killer tired of killing. 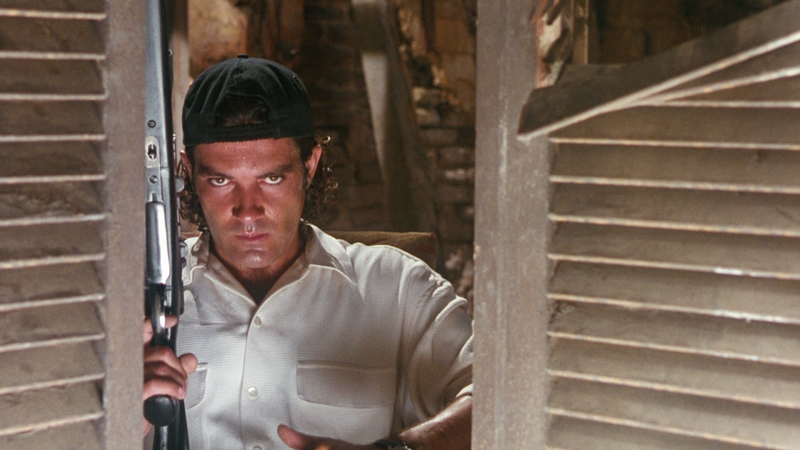 In contrast Banderas starts at an insane level of manic intensity and just escalates with every scene. Moore provides some intrigue for Electra, but her better roles are still to come. Despite all the bullets and the bombs, Assassins is finally felled by self-inflicted bloat.